Images of Human Rights consists of a set of 29 fine art prints, each corresponding to one of the 29 clauses of South Africa’s Bill of Rights. Created by artists from around the world, these prints celebrate the protection of civil, political, and socio-economic rights of all people of South Africa. This exhibition will be shown in Ringel Gallery from October 1 – 27, with an opening reception on Thursday, October 4, at 5:30PM. Ringel Gallery is located in Stewart Center, 128 Memorial Mall, and is open Monday – Saturday, 10AM – 7PM. 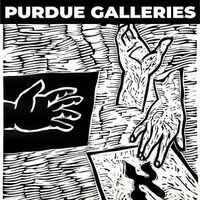 Please contact galleries@purdue.edu for further information.